File sharing and collaboration tools offer many benefits to HIPAA-covered entities, although the tools can also introduce risks to the privacy and security of electronic health information. Many companies use these tools, including healthcare organizations, yet they can easily lead to the exposure or disclosure of sensitive data. The Department of Health and Human Services’ Office for Civil Rights has recently issued a reminder to covered entities and business associates of the potential risks associated with file sharing and collaboration tools, explaining the risks these services can introduce and how covered entities can use these services and remain in compliance with HIPAA Rules. While file sharing tools and cloud computing services may incorporate all the necessary protections to ensure data is secured and cannot be accessed by unauthorized individuals, over the past few years there have been numerous cases where human error has resulted in misconfigurations. Those errors have led to data breaches. A Metalogix survey conducted by the Ponemon Institute revealed that one in two companies that uses the file sharing tool SharePoint had a confirmed data breach within SharePoint in the last 24 months. That doesn’t mean that SharePoint should not be used, nor that healthcare organizations should avoid other cloud and file sharing tools. If these cloud services and tools are to be used, covered entities and business associates must conduct a thorough risk analysis to identify potential risks to the confidentiality, integrity and availability of ePHI. Risk management policies must then be adopted to ensure those risks are reduced to an acceptable level. Misconfigurations should be detected during a risk analysis, although OCR also recommends that organizations conduct vulnerability scans. Scans should help covered entities identity potential vulnerabilities such as misconfigurations of software, obsolete software or missed patches. The recent ransomware attacks (WannaCry and NotPetya) have shown that missed patches and/or obsolete software can enable cybercriminals to gain access to networks and install malware. OCR also points out that covered entities and business associates must enter into a business associate agreement with cloud service providers prior to services/tools being implemented. 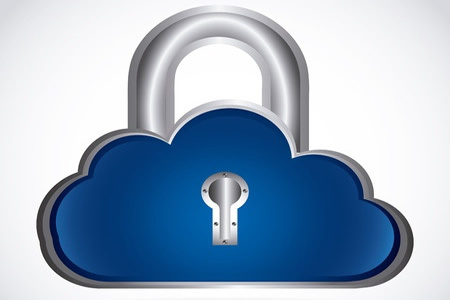 OCR draws attention to guidance released last year on cloud computing services. The guidance helps covered entities wishing to utilize cloud computing services to implement the solutions while complying with HIPAA Rules. The guidance can be downloaded from OCR via this link.